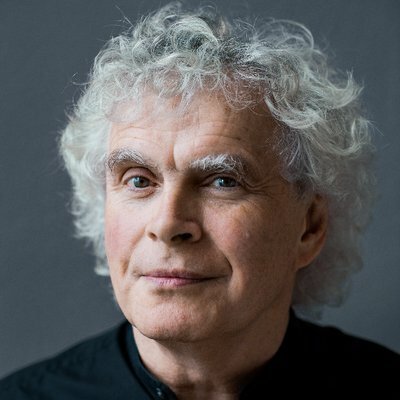 We are proud to partner up for the first time with internationally-acclaimed London Symphony Orchestra and legendary conductor Sir Simon Rattle to present Enescu’s Romanian Rhapsody No. 1 at the Barbican Centre on 16 and 18 December. For this specific concerts in the ‘Roots and Origins’ Series, Sir Simon Rattle brings together Debussy, Brahms and Enescu – rarely performed jointly but each inspired by the folk tradition. Brahms’ Violin Concerto is one of the most impressive violin concertos and a perfect match for the talents of virtuoso Leonidas Kavakos. Inspired by free-spirited Hungarian playing techniques, it brims with energy – a homage to the Gypsy heritage of Joseph Joachim, the renowned violinist for whom it was created. Alongside Brahms, the programme features Debussy’s evocative travelogue Images, which ventures from English and French folk tunes to the unmistakable dancing rhythms of Spain and the Iberian peninsula, and ends with Enescu’s vivid Romanian Rhapsody No. 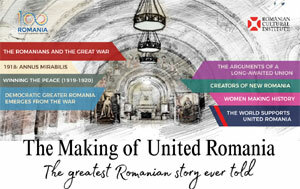 1, which draws on Romania’s folk tradition with scurrying violins and triumphant brass fanfares. The concert on 16 December will be preceded, between 17.00-18.00, by a talk on the life and work of George Enescu in the company of conductor Alexandru Solonaru. This is an invitation-only event, if you wish to attend, please call 020 77520134. Sir Simon Rattle was born in Liverpool and studied at the Royal Academy of Music. 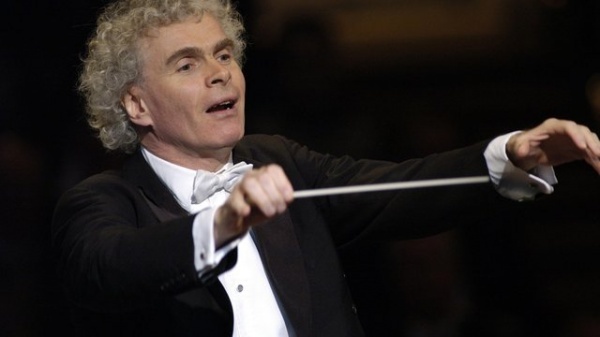 For some years Principal Guest Conductor of the Rotterdam and Los Angeles Philharmonic Orchestras, in 1980 he became Principal Conductor and Artistic Adviser of the City of Birmingham Symphony Orchestra, stepping up to Music Director from September 1990 until August 1998. He is also Founding Patron of the Birmingham Contemporary Music Group and since the early 1990s, has been a Principal Artist of the Orchestra of the Age of Enlightenment. In September 2002 Sir Simon became Chief Conductor and Artistic Director of the Berliner Philharmoniker, where he remained until June 2018. In September 2017, Simon took up the position of Music Director of the London Symphony Orchestra. From its first days the London Symphony Orchestra has been defiantly different and proudly pioneering. It was the first British orchestra owned by its players, and its fiercely independent ethos has never waned. It was one of the first orchestras to make gramophone records and film scores; today it has more recordings to its name than any other orchestra in the world. It was the first to have its own peak-time television series. And more than a century on, the revolution continues. Now in its twelfth decade, the history of the LSO contains many of the important developments of British orchestral life, including premieres of now-popular works and relationships with some of the greatest conductors.